Boulder, Colorado, is a high-altitude town with a lively downtown, a diverse selection of outdoor sports, great restaurants and activities. Start your trip by strolling down Pearl Street, followed by a visit to one of the city's museums and attractions, many of which offer free admission. There are tours for every taste, including culinary adventures, farm, tea and brewery tours. From history and art to an excellent natural history museum, the Fiske Planetarium and NOAA's Earth System Research Laboratory, visitors find many fun things to do in Boulder, CO. 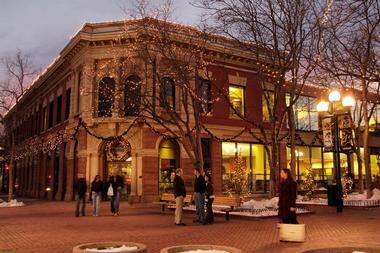 The Pearl Street Mall is a central hub for shopping, dining, arts and entertainment for visitors and locals alike. A famous Boulder attraction, the mall is home to a wealth of shops, restaurants, galleries and businesses, all of which reflect the warm and welcoming charm for which Boulder is renowned. With a red brick pedestrian walkway for easy access to the mall, Pearl Street is a year-round gathering place. Shoppers hurry along with their bags, couples stroll by shop windows, diners fill the terraces and revellers pack the bars. Musicians and performers fill the air with music while children play on colorful jungle gyms. 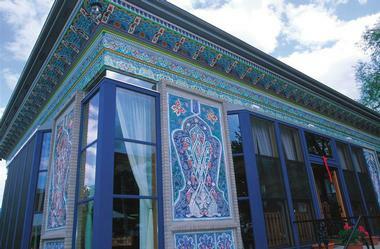 Local treasures at the Pearl Street Mall include the Dushanbe Tea House with its delightful menu and breathtaking hand-carved mosaics, the Art Mart packed with locally made art and Colorado souvenirs, and the popular Into The Wind store where shoppers can find all sorts of fun gadgets, trinkets and toys. 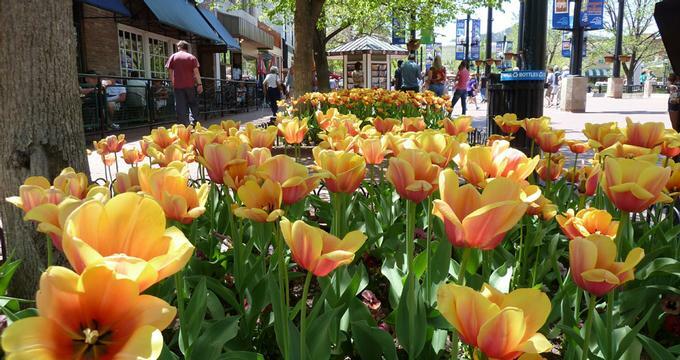 If you are looking for things to do in Boulder, CO this weekend, the Pearl Street Mall is a great place to start exploring. Based at the University of Colorado, the Fiske Planetarium is a popular attraction for both locals and visitors who love the stars. 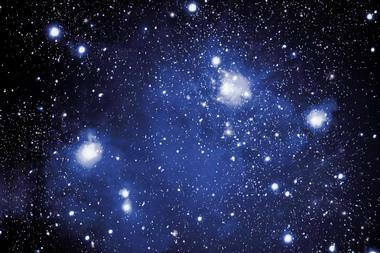 The Planetarium features a variety of exhibits, presentations and shows about the sky, the stars and the universe. Shows are presented in one of the highest resolution theaters in North America, an Sky-Skan 8K full dome immersive theater, where visitors are surrounded by a 65-foot diameter screen, spectacular visuals, and incredible sound while the star machine displays over 20 million stars and the Milky Way. Visitors can also enjoy late-night laser shows with a new state-of-the-art laser system, as well as the popular Friday night stargazing at the Sommers-Bausch Observatory. Weather permitting, stargazing evenings are held on the Sommers-Bausch Observatory's Observation Deck on Fridays throughout the year, whenever the University of Colorado is open. Stargazers can explore the night sky through pier-mounted 16-inch and 18-inch telescopes as well as tripod-mounted binoculars and identify the stars with the world's largest star wheel. 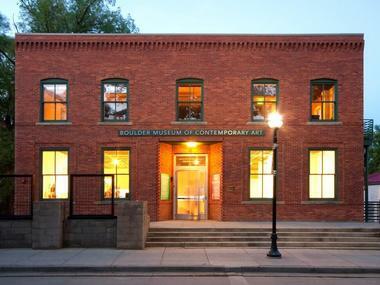 Founded in 1972, Boulder Museum of Contemporary Art (BMOCA) is a dynamic art museum that presents significant contemporary artworks. With the aim of educating and inspiring creative experiences and exploration through regional, national and international exhibitions, presentations and performances, BMOCA hosts contemporary art exhibitions and events throughout the year. Located in a 1906 historic landmark building in downtown Boulder, the museum presents a wealth of educational programs for audiences of all ages and interests. These programs include Media Live, Summer Games, and Your Brain on Art. Since its establishment in 2004, the Boulder Chamber Orchestra (BCO) has been Boulder’s premier chamber orchestra, featuring world-class musicians and playing to sold-out audiences throughout the year. The BCO, which has been hailed as nothing less than “superb,” is currently under the musical directorship of Bahman Saless. Saless has conducted a variety of other renowned orchestras, including the Martinu Philharmonic, the Timberline Symphony and the Rond Rock Symphony Orchestra. The Boulder Chamber Orchestra not only performs outstanding concerts, but also presents a variety of educational programs, workshops for up-and-coming artists, and community outreach programs. 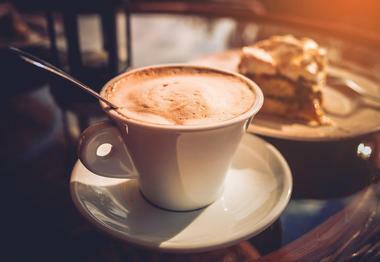 Experience Colorado’s unique and delicious cuisine with a fun foodie tour. Local Table Tours is a food tour and event company that offers a variety of culinary tours and experiences around Boulder. 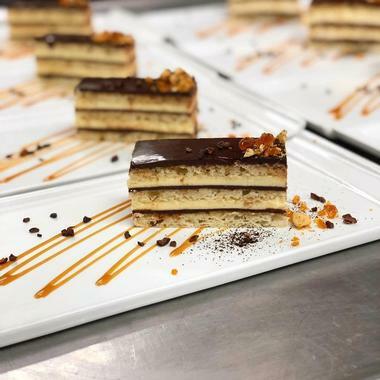 Food tours are led by local foodies with a passion for Boulder and its culinary delights, and visit top foodie spots, where gourmands and food lovers can taste their way through a variety of esteemed establishments. Local Table Tours also offers cocktail tours for those who want to appreciate the art of cocktail-making, with private cocktail classes and plenty of samples. Other drink-centric tours include visits to the Crooked Stave Artisan Beer Project and Proper Pour to savor some of Denver’s best handcrafted beer and other beverages. Tours are generally between one and two hours, so comfortable walking shoes are recommended. 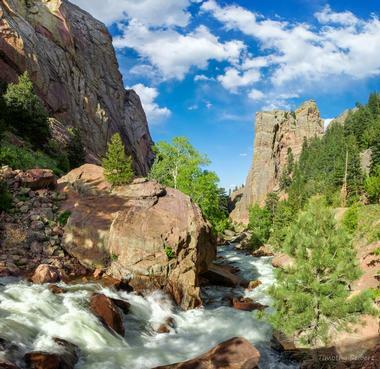 One of Boulder County’s most spectacular natural treasures, Eldorado Canyon State Park is an outdoor-lover’s paradise and has something for everyone. Coming to hike along the magnificent sandstone cliffs, fish in the South Boulder Creek, or just take in the breathtaking scenery, locals and tourists alike frequent this day-only park year-round. If you are wondering what to do in Boulder with active kids, this is a great place to explore. Eldorado Canyon State Park is home to some of the best rock climbing in the world and offers over 1,000 technical rock climbing routes in and around its golden cliffs. South Boulder Creek is also ideal for fishing, paddling, swimming and picnicking during the warm summer months, while winter sees cross-country skiers and snow hikers enjoying the scenery. The state park is open during daylight hours only, and visitors must leave before dusk. There is a small entrance fee. Buck McCain’s monumental 15-foot bronze sculpture “Invocation” greets visitors on arrival at the Leanin’ Tree Museum in Boulder, an intimate and unique museum that is home to the nation’s largest private collection of Western art. Showcasing the drama of the Old Wild West through outstanding exhibits of art, sculptures and collectibles, the museum is linked to the Leanin’ Tree Plant, which produces unique Western-themed greeting cards. The Leanin’ Tree Plant was founded in 1949 by Ed Tumble, and the subsequent museum grew from Tumble’s quest to find original art by Western artists for reproduction on his Leanin’ Tree greeting cards. 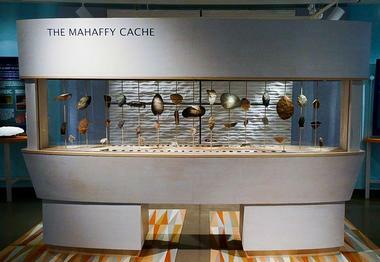 This quest lead to the impressive collection of artworks on display today. Visitors can explore the exclusive collection of art in the museum or take a tour of the greeting card plant and discover where Leanin’ Tree greeting cards originate. NOAA's Earth System Research Laboratory (ESRL) handles the study of atmospheric and other processes that affect air quality, weather, and climate across the globe. ESRL scientists and researchers monitor the atmosphere carefully, study all of the intricate processes that comprise the Earth system, and integrate the findings into environmental information products. These products, in turn, help to improve critical weather and climate tools for the public and private sectors, such as hourly weather forecasts. Guided tours of the David Skaggs Research Center at the ESRL are available for the public to enjoy, with stops at the Space Weather Prediction Center, the National Weather Forecast Office, and Science on a Sphere. Tours last approximately 1.5 hours. If you are interested in science, this attraction is one of the top cool things to do in the United States. Traditional afternoon tea is served with crisp English-style white linens and teatime accoutrements, including a three-tiered tower of freshly baked cakes and scones, sweet and savory pastries, and cucumber sandwiches, as well as a range of usual and unusual teas. Established by Anne and Paul Cure in 2005, Cure Organic Farm is a commercial family farm that grows 100 different varieties of certified organic vegetables, herbs and flowers spread over 12 acres of landscaped terrain just east of Boulder. All of the farm’s products are distributed to farmers markets, restaurants and eateries in Boulder, and the family’s own on-site farm store. Home to ducks, hens, heritage Berkshire and Mangalitsa pigs, and several honey bee hives, this fully sustainable farm offers a range of educational tours where visitors can experience the day-to-day happenings of an actual working farm. Tours include local food production and distribution, composting and its role in food production, animals on the farm, farm operations, and Certified Organic Agriculture. Farm tours are available from April through May and September through October, and last 1-2 hours. Jax Fish House & Oyster Bar on Pearl Street is one of the best places to go for fresh seafood. The restaurant has a warm and welcoming vibe appropriate for families, while the eatery’s popular oyster bar is vibrant and fun, attracting a younger crowd with an array of daily drink specials and sublime cocktails. In addition to salty oysters served in their shells, the menu features a variety of fish, shellfish and shrimp, cornmeal fried oysters and a mouthwatering lobster BLT. Jax Fish House & Oyster Bar hosts special events throughout the year, including weekly events which need to be booked in advance due to their popularity. The Boulder History Museum was established to educate people about the continuing history of the Boulder region. Located in the historic landmark Harbeck-Bergheim House on University Hill, the museum boasts a collection of over 45,000 objects of historical significance and aims to provide visitors with a context for the present and inspiration for the future. 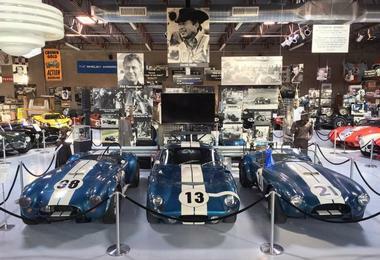 The museum’s displays are changed a few times a year to provide new and interesting takes on its vast collection and the heritage of Boulder. Educational programs and activities for youth and adults are held throughout the year. There are also more than 900,000 historical documents and photographs at the Boulder Carnegie Library; these are available to the public and researchers. For delicious farm-to-table vegetarian, vegan and raw cuisine, head to Boulder’s Leaf Vegetarian Restaurant. Leaf serves an array of eclectic vegetarian, vegan and gluten-free dishes, as well as organic wine. Compact, neat and hip, Leaf Vegetarian Restaurant uses fresh locally-sourced ingredients from its own Three Leaf Farm, tucked along the banks of Coal Creek in Lafayette. The farm produces the organic fruits and vegetables, herbs and free-range eggs which are used to create Leaf’s appetizing menu. Leaf offers exceptional vegetarian and vegan catering services for all types of events, as well as a traditional afternoon tea service every Saturday afternoon and a daily Late Night Happy Hour in the evenings. The Boulder County Farmers Markets is a corporation made up of the Boulder and Longmont Farmers Markets, established to provide an outlet for local agricultural producers to sell their products directly to the public. Both markets started off as small family gatherings and have since grown into two of Boulder’s favorite attractions. The markets provide places for local farmers to sell their produce and wares, and for the public to get out and enjoy them. 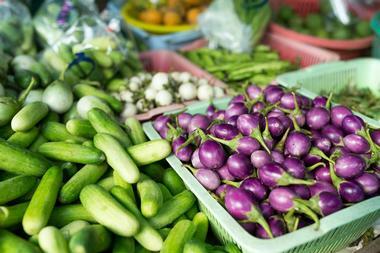 Farmers sell fresh vegetables, fruits, salads, and herbs, while other vendors sell delicious homemade food, local handicrafts, and artworks. Both the Boulder and Longmont Farmers Markets run every Wednesday and Saturday throughout the year. The Boulder Farmers Market is located on 13th Street between Arapahoe and Canyon, while the Longmont Farmers Market is held at the Boulder County Fairgrounds on Saturdays and downtown on 5th Avenue on Wednesdays. Combining Colorado’s natural beauty with Boulder’s contemporary dining aesthetic, OAK at Fourteenth is a stylish neighborhood restaurant on Pearl Street. OAK features a creative menu of local and seasonal New American Cuisine, cooked in a rustic wood-burning oven that gives meat dishes a beautiful smoky flavor and creates a warm and cozy atmosphere in the restaurant. Chef Steven Redzikowski teams up with beverage man Bryan Dayton to bring guests an unrivaled dining experience. Redzikowski’s creative menus focus on one-of-a-kind, oak-fired dishes with ingredients sourced from Colorado’s abundant agricultural landscape. Bryan Dayton is the man behind the sublime hand-crafted cocktails and impressive artisanal wine and beer list, the perfect accompaniments to OAK at Fourteenth’s excellent food and inviting atmosphere. It all started in 1997 on Pearl Street in Boulder, just across the street from the current location. That is why Snarf’s on Pearl is considered a flagship store of the most popular sandwich maker in Colorado. Their oven-toasted sandwiches have been awarded year after year the title of Best Sandwich in Boulder. There is no big secret: the sandwiches are simply made using the best and freshest ingredients and are served with wonderful hot soups, crisp fresh seasonal salads, and delicious desserts. The sandwiches are made with the best quality meats and cheeses, their own blend of peppers, and their own salad dressing. Their in-house made toasted bread is available white, whole wheat, or gluten-free. 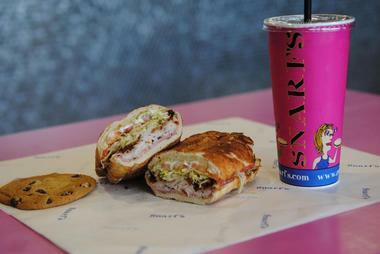 There are now more than 20 Snarf’s Sandwich shops in Colorado. They are all slightly different and blend perfectly into their neighborhoods. The UCAR Center for Science Education, a division of the University Corporation for Atmospheric Research (UCAR), aims to encourage both adults and young learners to explore, discover and educate themselves about the changing world they live in through science. The center focuses on developing educational experiences for the public through a variety of programs in scientific literacy outreach, workforce development, and community engagement. Visitors to the center can enjoy a range of informative exhibits and participate in activities on weather, climate change, sun-earth connection, atmosphere, and chemistry. If you are looking for great things to do with kids in Boulder, don't miss this attraction. Located in Village Boulder Shopping Center, Shine is a lovely, bright, and airy spot that serves food for all – the carnivore, vegan, vegetarian, and paleo ways of eating. 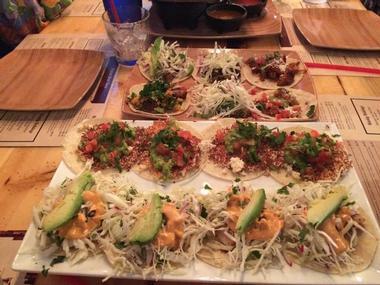 But, their focus is on healthy, eclectic, vegan, gluten-free and paleo menu items, including signature dishes such as quinoa and veggies in coconut curry or jackfruit tacos. 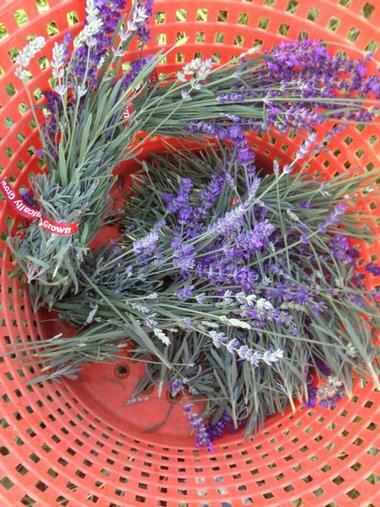 The place is run by three sisters known for a line of herbal potions. You can find some of those potions in select Shine’s funky cocktails, or you can just go for a beer or glass of wine. 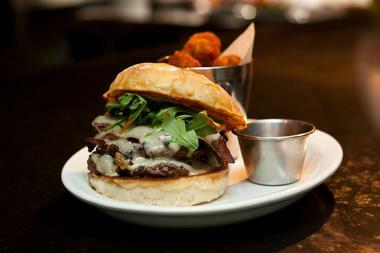 All the food Shine serves is farm-to-table with 100 percent grass-fed meats and wild seafood. Their bakery is a completely gluten-free bakery and the kitchen is GMO-Free. Awe-Struck Outdoors is an adventure company that celebrates both the beauty of Colorado and its glorious local cuisine with unique Bike to Farm tours. Bike tours take place in and around the many family-owned farms in the magnificent Front Range area of Denver, exploring the natural beauty of the area that provides ingredients for so many of Denver’s excellent restaurants. Riders cycle to the farms, taking in gorgeous views on the way to taste delicious food. The tours are suitable for riders of all ages and experience levels. Riders have the opportunity to learn about the operation of a farm from farmers themselves, then fuel up for the ride back with homemade fare. Showcasing natural and cultural wonders from around the world with a focus on the Rocky Mountains and the Southwest, The University of Colorado Museum of Natural History fosters exploration of and education about the natural environment. Featuring one of the most extensive and respected natural history collections in the Rocky Mountain and Plains regions, with a collection of over four million artifacts and specimens, the museum is one of the top natural science museums in America. The museum’s extensive collection spans such genres as botany, entomology, anthropology, paleontology and zoology and is showcased in a variety of exhibits and displays that are open to the University and the public. Founded in 1902, The University of Colorado Museum is housed in the Henderson Building on the University campus. Admission to the museum is free. 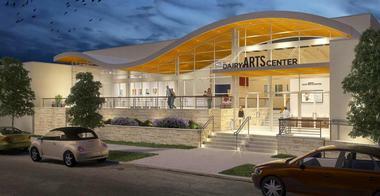 Housed in an old dairy plant, the Dairy Center for the Arts represents all the arts under one roof: dance, theatre, music, cinema, visual art and more. As Boulder’s largest multi-disciplinary arts center, this unique performance venue and gallery space offers the community a chance to experience and enjoy a variety of captivating and exhilarating artistic performances as well as high-quality visual art. The center’s three galleries exhibit the works of over 80 regional, national, and international artists in juried shows each year. The center also hosts special presentations by specific artistic groups including Imagine Colorado, art teachers, and the Boulder Art Association. The center also offers a unique arts education program for children called Kids at The Dairy. This program is designed to introduce young children to live performances across all artistic disciplines with the aim of making the arts more available to children. One of the largest specialty tea manufacturers in North America, Celestial Seasonings was founded in 1969 and has been producing quality tea for the world ever since. Tea leaves and herbs are harvested from the Rocky Mountains by hand, then dried, blended and packaged to be sold at stores across the country. 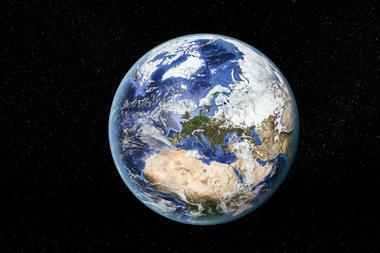 Celestial Seasonings serves more than 1.6 billion cups of tea every year. Visitors can take a free tour of the Celestial Seasonings tea factory to learn all about the tea-making process and how the company produces its traditional, all-natural herbal, red, white, green and black teas. 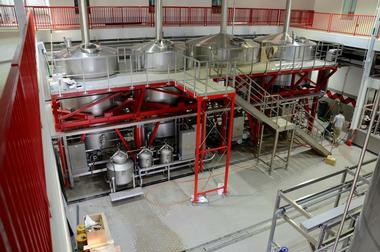 Tours involve a short video introduction followed by a 30-minute walking tour through the factory, about 45 minutes total. The Tea Shop and Celestial Café serves hot cups of Celestial Seasonings tea and sells a range of gifts, healthful foods, and personal care products. Founded in 1993, Avery Brewing Company is a well-known brewery in Boulder and is fast becoming one of the most forward-thinking breweries in the nation. Avery produces a range of artisanal beers, including award-winning flagship beers such as White Rascal Belgian-Style White Ale, Ellie’s Brown Ale, Mephistopheles’ Stout, and the ever-popular Out of Bounds Stout. The company offers informative tap room and brewery tours where visitors can explore the brewery and its operations and bottling process, learn how beer is made, and sample some of the products. Guided and self-guided tours are available on a daily basis. The Colorado Shakespeare Festival is an annual festival held in Boulder that celebrates the works of William Shakespeare and his continuing influence on society. Established in 1958, the festival is run by the University of Colorado Boulder and strives to preserve Shakespeare’s classic works and educate the public on the playwright’s importance and influence. 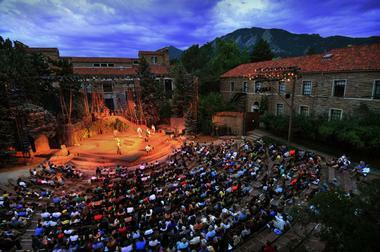 Professional troupes and artists from the Colorado Shakespeare Festival theater company perform Shakespeare’s plays beneath starry summer night skies in the historical Mary Rippon Outdoor Theatre, when the weather permits, or in the newly renovated indoor University Theatre. These artists inspire, challenge and cultivate audiences’ imaginations throughout the festival. Enjoy dinner in the Shakespeare Garden before the show, or stock your own picnic basket and dine al fresco during the show. Founded in 1905 by J.D. Long, Long’s Gardens is a third-generation, family-owned and -operated iris farm in the heart of Boulder. The farm offers a tranquil escape for visitors from the city and specializes in growing and selling bearded iris, which provides spectacular natural scenery when in bloom from May through early June. Long’s Gardens sells iris plants ranging in size from the Miniature Dwarf Bearded at 8 inches in height to the Tall Bearded at 27 inches and higher. 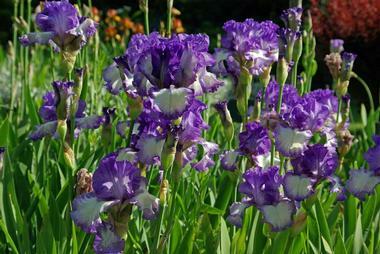 Long’s Gardens also sells T-shirts, tote bags and books on caring for irises. Visitors should note that the gardens are only open during blooming time: May through June. Located at the base of Boulder’s Flatirons, The Colorado Chautauqua National Historic Landmark is one of only a few remaining Chautauquas in the United States. Chautauquas were institutions that provided popular adult education courses and entertainment in the late 19th and early 20th centuries, and the Colorado Chautauqua is the only site west of the Mississippi that has been in continuous operation since its founding. Spanning 26 acres of land and home to historic buildings such as the Auditorium, Dining Hall, and Academic Hall, the Chautauqua site is now managed by the Colorado Chautauqua Association (CCA). This body aims to educate the community about the history and heritage of the Colorado Chautauqua through cultural, educational, social and recreational experiences for all ages. The CCA also offers comfortable lodging, programming and spacious venues for private events around the historic site. Based in the historic Macky Auditorium at the University of Colorado campus, the Boulder Philharmonic Orchestra is one of Colorado’s premier ensembles. The orchestra plays to audiences of over 20,000, giving outstanding performances from Arvada to Highlands Ranch. Under the experienced guidance of music director Michael Butterman, the Boulder Phil’s main concert series covers a variety of genres and includes eclectic performances with dance, choral and visual elements. Voted “Best of Boulder” for the past three years, the Boulder Phil is setting new trends in the world of orchestra by wowing audiences with bold innovations. The Boulder Phil also strives to give back to the community. The Discovery Concerts aim to inspire next-generation music-lovers, and the annual “Young Artist Concerto Competition” fosters new talent as do side-by-side mentorship concerts with the Greater Boulder Youth Orchestras and Front Range Youth Orchestras.